Exclusively for sale only, our grandstands are designed for venues requiring substantial covered seating or terracing. These flexible grandstands for sale come with a range of complimentary fixtures, from dugouts to media platforms, and provide Green Guide-approved spectator seating, supporting your duty of care to keep fans safe. 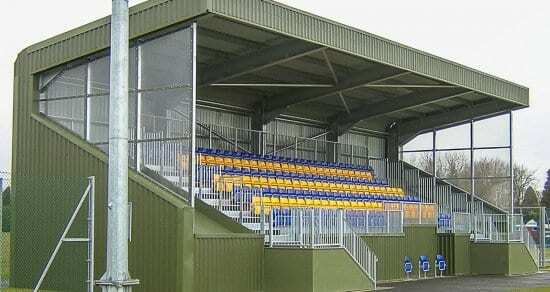 For smaller sports clubs, or training facilities, our Sports and Premier grandstands offer cost-effective, quick-to-install modular pitch side seating systems. For larger stadium refurbishments we can project manage from design to installation. Why choose our Sports Grandstands? Our comprehensive range of award-winning affordable sports grandstands come in a variety of colours. 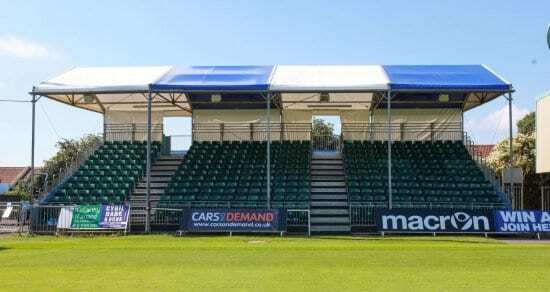 They provide a flexible, modular cantilevered roof cover in conjunction with our proven tiered seating system and are available as a standing terrace option, complete with safety barriers. 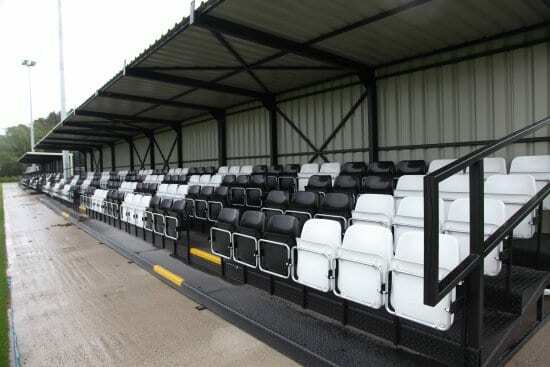 If you are looking to upgrade your stand and seats to meet FA ground grading requirements, these are the perfect choices.